Holistic College Dublin offers a Level 5 Sports Massage course like no other - the most comprehensive, cutting edge sports massage program in Ireland. This course teaches a comprehensive multidisciplinary, pain free, approach to the treatment of complex sports injuries and chronic pain conditions. Our training program exceeds the requirements of our awarding body, I.T.E.C. 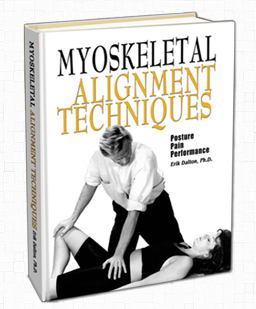 and includes the concepts, special tests and techniques used in Myoskeletal Alignment Technique (MAT) and Orthopeadic Massage. This exciting new qualification will include the most up to date research and treatment protocols developing from international working groups such as the fascia research congress and the San Diego Pain Summit. This course will progress the Sports massage therapist’s understanding from the treatment of generic sports injuries to being able to pinpoint underlying cause, effectively treat and design rehabilitation programs, to address the most complex Myoskeletal and neurological dysfunctions. Active, Passive, Resisted and Neurological tests will evaluate the nature, severity, area of injury and the type of tissue involved. Advanced techniques are then used to release myofascial restrictions and Neuro-Muscular trigger points, treat any disorganised collagen, restore normal resting tone and re-establish joint function and centration. In Myoskeletal Alignment, soft tissue manoeuvres have been developed to release osseous fixations, relieve protective spasm and improve nerve gliding through all the body’s synovial joints. Sprains – Anterior talofibular ligament, calcaneofibular ligament, posterior talofibular ligament, medial/lateral collateral ligament, Syndesmosis injury (high ankle injury), anterior cruciate, posterior cruciate, Acromioclavicular and Sternoclavicular. Strains – Peroneal tendon, Gastrocnemius/Soleus strain, Achilles tendinitis, Adductor, Quadriceps and Hamstring, Rotator cuff tears, Medial and Lateral Epicondylitis. Neurological injuries/soft tissue dysfunction - Nerve entrapment• Morton’s neuroma • Common peroneal nerve injury, Sciatica, nerve root v nerve trunk compression and Carpal Tunnel Syndrome. Fractures and Joint dysfunctions – Stress fractures, Medial tibial stress syndrome, Patello-femoral pain syndrome (chondromalacia patellae) and Patella dislocation, Glenoid labrum tear, Metacarpal fractures, Mallet finger, and Facet syndrome, Glenoid labrum tear, Subacromial bursitis and Impingement syndrome. James Waslaski’s approach to the treatment of Sprains and Strains, and differentiating between Tendonitis, Tendonosis and simple tendon pain. Erik Daltons approach to Myoskeletal alignment and joint function. Concise information on Active, Passive and Resisted testing. What these tests tell the therapist about the clients injury and what constitutes a positive test for each sports injury. Neurological testing newly developed nerve mobilisation techniques. Recognizing specific patterns of muscle imbalance. Effective rehabilitation – strengthening exercises using resistance bands on weak muscles and stretching of overused tense muscles using the Mattes Method of Active Isolated Stretching. This treatment has proven to be very successful in the rehabilitation of both recent and long standing, chronic injuries. It is also of great benefit to non-sports people, increasingly referred to as ‘occupational athletes’ who develop restricted range of motion and pain from repetitive movements, poor posture and sedentary lifestyles. Training also includes a revision of the use of Sports Massage in pre and post event situations. Treatment evidence: 5 treatment evidence forms covering Complex Sports Massage Techniques and treatment strategies.